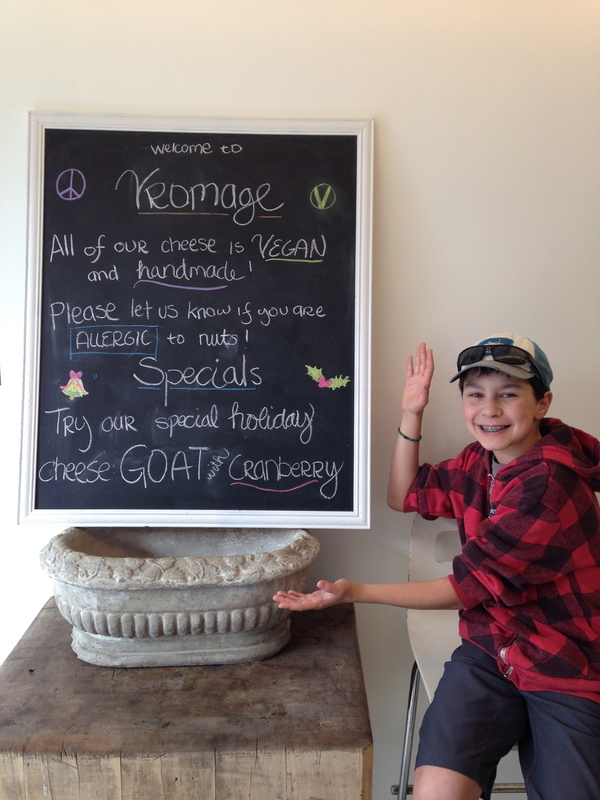 We were very lucky to be staying just a few blocks away from the newly opened, Vromage – a nut cheese boutique. My mother and I went alone, as this is not a place for anyone with a nut allergy. The nut cheese at Vromage is essentially fermented nuts, but it seems to be more of a fine art and craft than cooking or following a recipe – the process of aging these cheeses is not simple, or short! The space itself is underwhelming – it’s a simple store front in a small strip mall that would be easy to miss and an interior that is still very bare, but the cheeses and the owner and creator, Youssef bring everything to life! Upon entering, Youssef smiled proudly and was excited for us to sample his delicious handcrafted cheeses, which of course, made me excited too. Each of them were unique and had their own distinct flavour – some because of the nut used, and some because of the herbs and spices included in them. 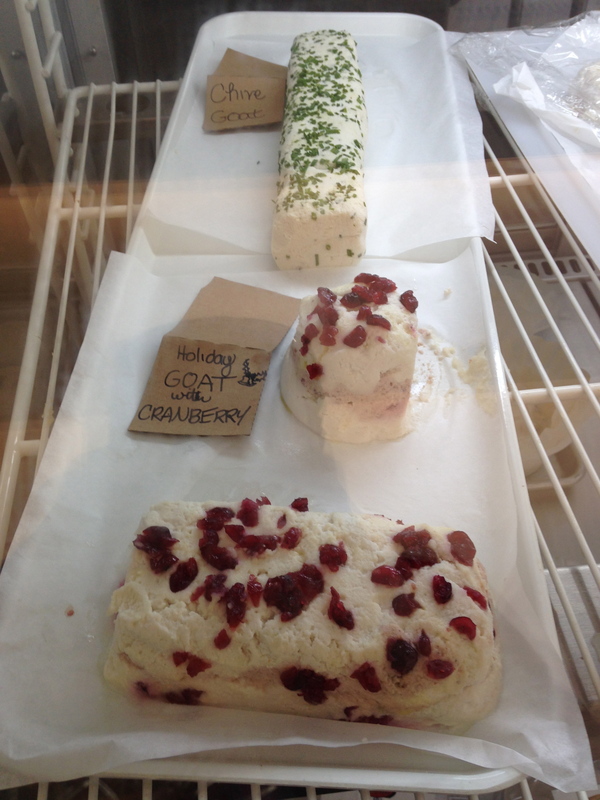 There was brie, feta, chevre and more – all vegan and organic. If you are avoiding dairy, this is a dream spot for you. We decided that we couldn’t decide, so did what always seems to make sense – sample it all! On our cheese board we had Youssef’s signature Feta based on macadamia and cashew, Goat based on macadamia with chives, Brie based on pine nut, cashew and truffle, Queso Fresco based on cashews and a veined Blue Cheese based on pistachio and “everything” as Youssef told us, even pumpkin and hemp seeds. Each was awesmazing in their own way and my “pizza” was delicious. 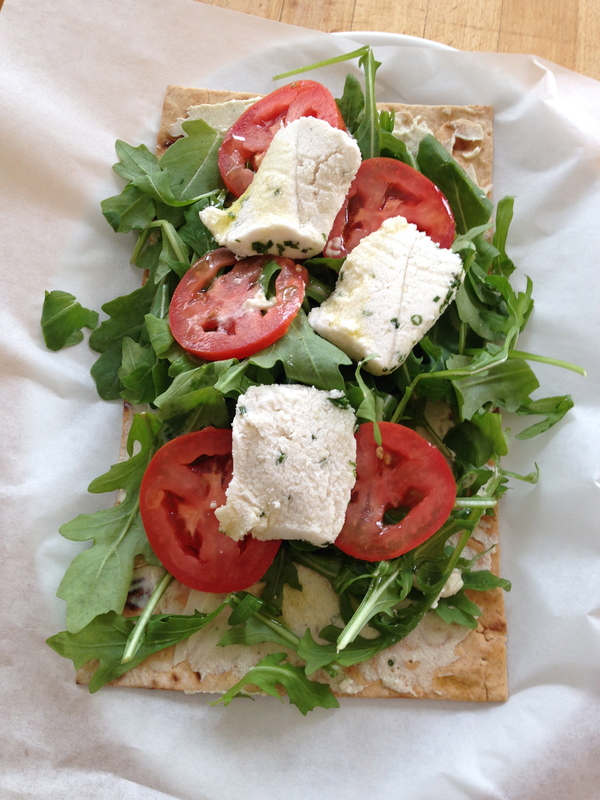 Nut cheeses definitely pair well with arugula – final story. 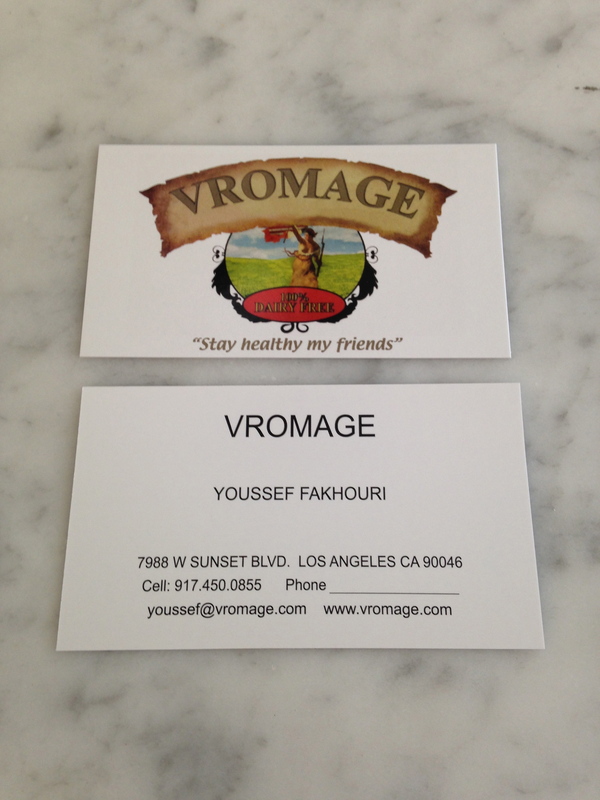 Whether you are vegan, dairy-free or none of the above, I definitely recommend Vromage in West Hollywood, and I look forward to exploring the world of nut cheese to a greater depth now. 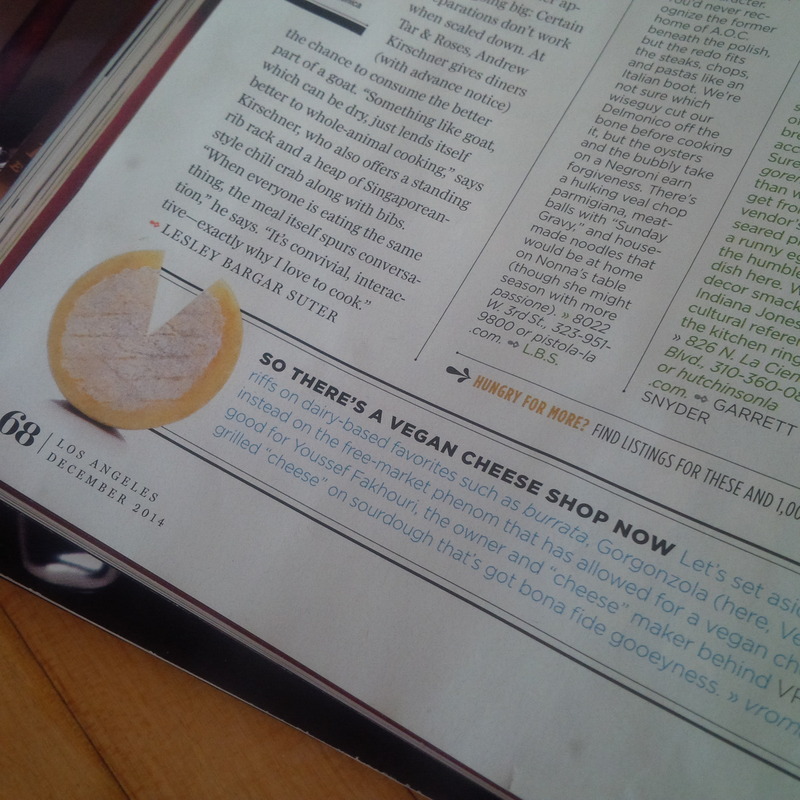 (In Toronto, try Tori’s for their cheeseboard, it’s phenomenal). 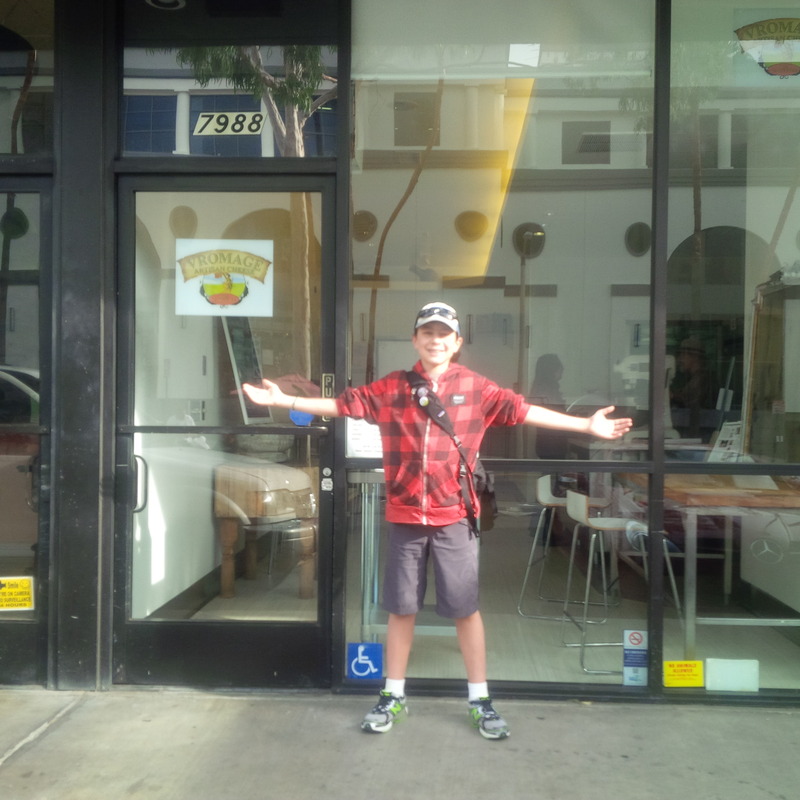 Standing outside, ready to try some nut cheeses! 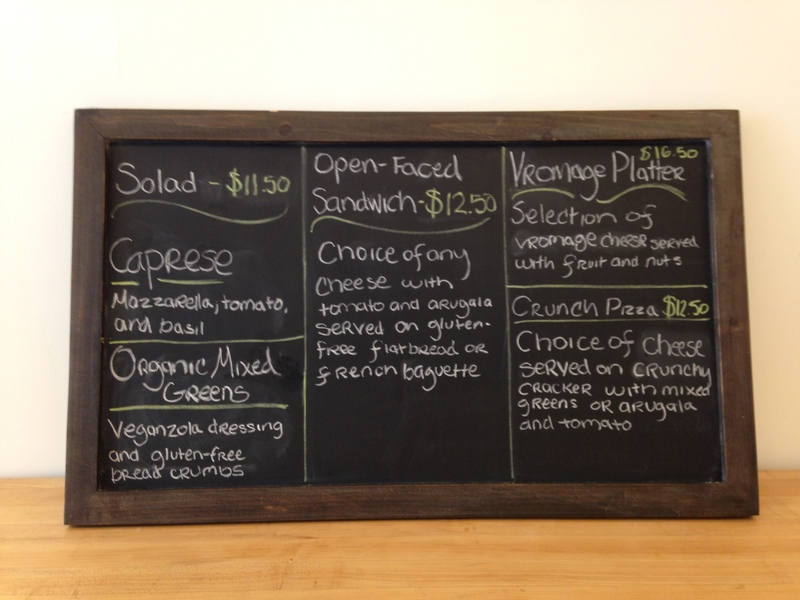 A small, but mouthwatering menu! Buy full pieces or just small samplings! It looks like cheese, doesn’t it? Get in touch with Youssef! I want this sign for my room! 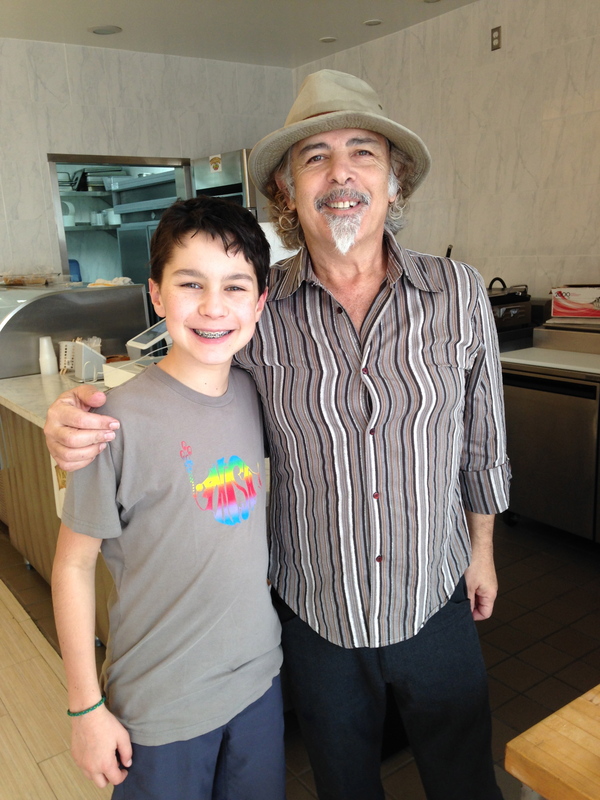 Thanks Youssef for spending so much time with me to explain about your craft! Slab of nut cheeses! I enjoyed every single one of them! The Blue and the Feta were my favourites.